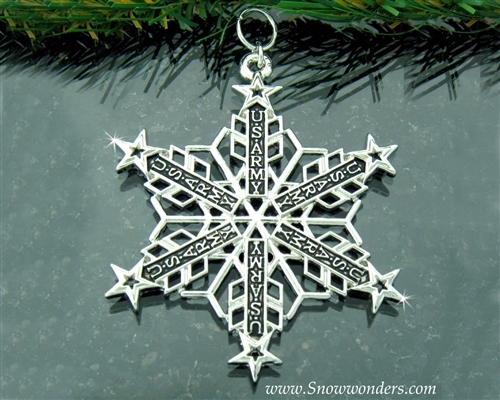 Pewter US Army Chevrons and Stars SnowWonders® Snowflake Ornament is striking with the antiquing behind the lettering. Each spoke has the words US Army proudly displayed with Chevrons behind them and a star topping them off. What a beautiful way to honor the Men and Women of the US Army! Our Collectible Lead Free Pewter SnowWonders® Snowflake Ornament is highly polished and plated with Rhodium to prevent tarnishing. 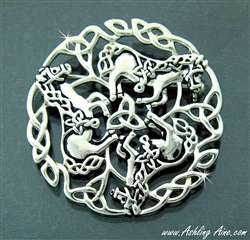 They are the perfect addition to your Holiday Tree or displayed in your window. Attach them to a gift or use them as unique place card setting at a special gathering. The possibilities are endless. 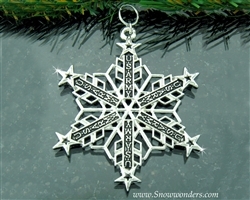 The Chevrons in this SnowWonders® Snowflake Ornament were an unintentional design feature in this unique piece. 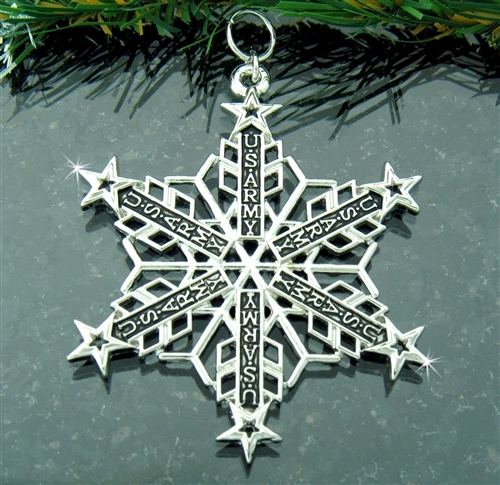 Our designer was adding natural elements to the snowflake to create intricacies, detailing and dimension to highlight the US Army wording. We then shared the design with our customers who pointed out that they looked like Chevrons. What a perfect unintentional addition!